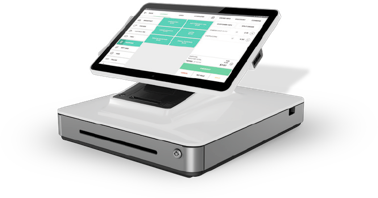 Built for busy, in-store environments and restaurants that need a fast, full-featured point-of-sale solution. Powerful and easy to use. 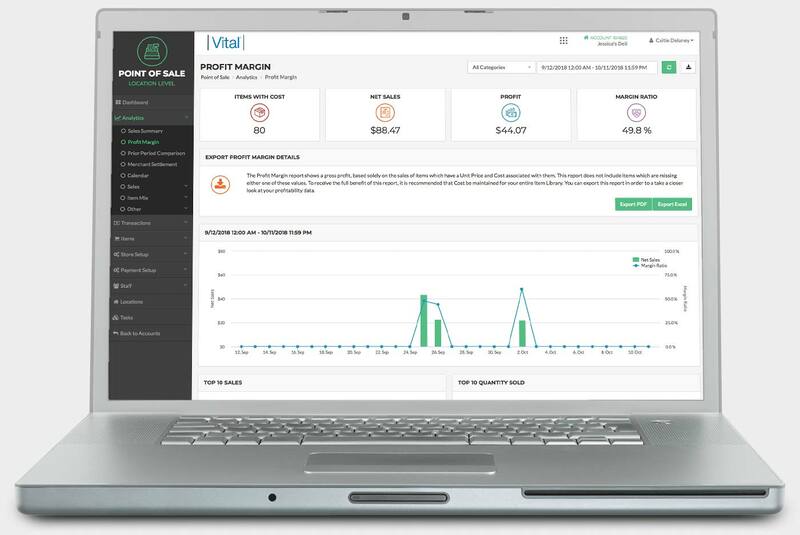 Vital Select gives you the tools you need to understand employee performance, business cycles, and inventory turn, so you can make smarter decisions. 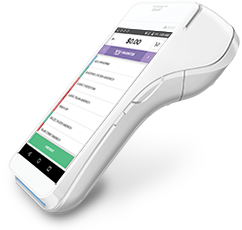 Accept all payment types to help improve cash flow and profitability. 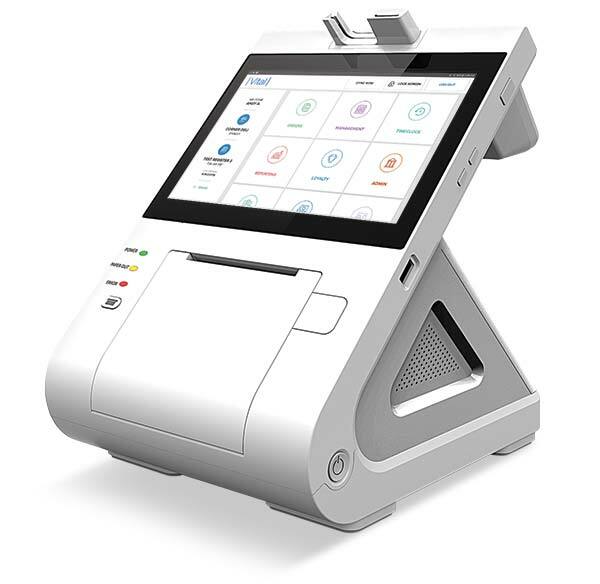 Vital Select is available in two different register options. See which one is right for your business. Compare Vital Select with the other Vital Solutions to see which one is right for your business. Pair your Vital Select with accessories that can boost efficiency and accuracy. 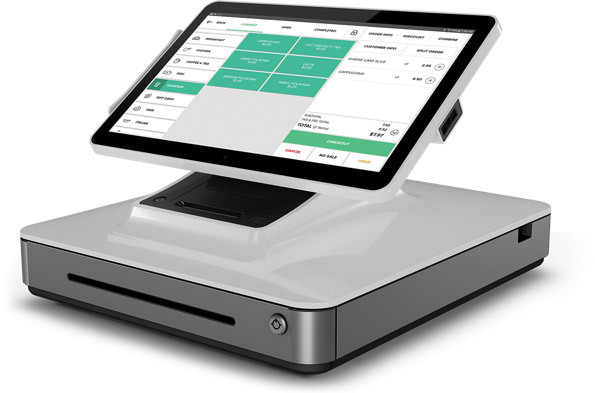 A tableside payment option for restaurants featuring swipe, chip and contactless card readers - as well as an integrated receipt printer. 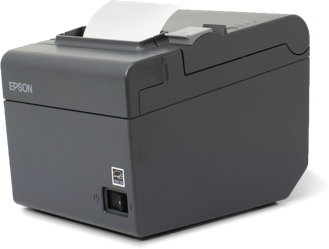 Even with built-in receipt printers, you may want an additional printer for purposes like in-kitchen or concierge printing in a restaurant. 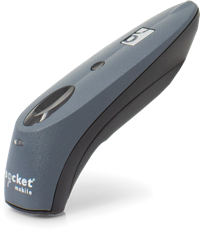 In addition to the built-in register barcode scanners, optional handheld models are ideal for higher traffic environments. 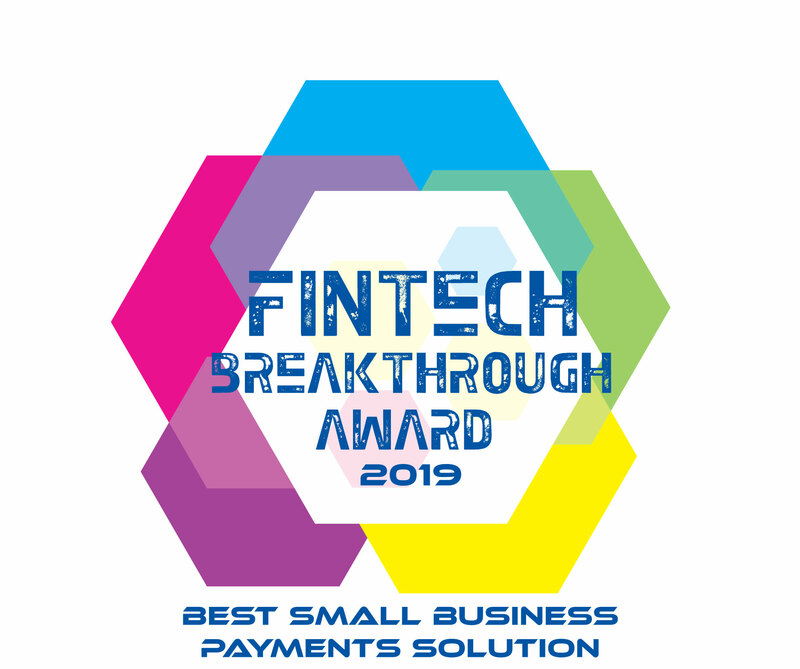 Vital POS has been recognized as the 2019 "Best Small Business Payments Solution" by the FinTech Breakthrough Awards!